Take a few minutes and reflect on your current quality of life and be honest with yourself…Is this the life YOU were meant to Live? Like most of us in corporate America…I have spent a lot of time on airplanes over the years. I wouldn’t stake my life on it…but I am pretty sure the flight attendant could pick almost anyone in the first few “business traveler” rows of any aircraft and they could give the pre-flight safety pitch without missing a beat. Even though you could probably repeat the entire pitch in your sleep (you probably hear it in your sleep if you have Chairman or super top elite status) but….have you ever really connected the dots one of the phrases in that pitch to YOUR leadership journey? Why does this come to top of mind? Well…I’m glad you asked! Many of us are running from meeting to meeting…from the office to the grocery store….from the airport directly to the soccer field to catch a few precious minutes of at least one of your kid’s games this season. We are exhausted and most days we can’t think straight or feel we have much left to give. WE try to manage it all…because…as we look around…everyone else seems to be able to do it…why not me?? Well…truth is…everyone has the same…but different struggles. In life…it isn’t a matter of IF we will have these times of craziness when work and our personal lives put more upon us than we knew was possible…it’s a matter of WHEN. It is also in these times of great activity…stress and strain….when there are deadlines at work and high demands at home….that our tempers run short….our flexibility runs low…and we can’t see the forest for the trees. It is also these times when we put ourselves last. We are SO busy helping everyone else and taking care of everyone else’s needs that we just don’t know when it will be OUR turn. That’s when the phrase from the preflight check should be ringing in YOUR ears. The airlines repeat this script every time you board for a very important reason. Should the cabin pressure change and oxygen run low – YOU need to ensure you help yourself first so YOU can be more effective in helping those around you….in a moment when they really need your help. It seems counter intuitive to our gut reaction…especially if someone we love is sitting next to us struggling to help ourselves first…which is why I think they say it. In this ever connected…fast paced…high demand world we live in…it is more important than ever that we find time to “put our oxygen mask on first” and make time for a few minutes rest…relaxation and renewal. It IS counter intuitive to think that a break will actually make us more effective. Over the past five years I have taken more…small pockets of time for ME than I have in my entire life. I have used the time for exercise…reflection…reading & writing (like right now). I am AMAZED at how much happier, effective, driven and energized I am simply by making time to help myself first. It wasn’t just the choices and things I said YES to…it was also the harder choices of things that I said NO to or that I negotiated…moved and changed. My health is better and I feel like I am appreciating more of what I have. …but I had to create it….and continue to create it every day….YOU can too! 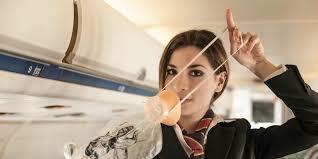 Do YOU agree or have a differing point of view on the phrase “Put your oxygen mask first before assisting others? Do YOU have another phrase or way of thinking that reminds you to take time to rest…relax and reflect? Have YOU had a similar experience where taking time for YOU actually made YOU more effective than you thought you could be? What do YOU think of the list of choices above that could help YOU make time for renewal? Can YOU think of others to add to the list? Take a few minutes and reflect on your current quality of life and be honest with yourself…Is this the life YOU were meant to Live? If the answer is NO – think about what it should look like (be realistic…not over the top fame & fortune…not that you can’t have that….but maybe something more near term). What steps can you take to move you…your family…your work in that direction? Today is all we have…tomorrow is promised to no one. Make TODAY the life you were meant to live! Thanks for reading….and remember…YOU make a difference!